The Welsh Assembly and Scottish Parliament voted to pass identical motions calling for the planned Brexit date of 29 March to be put off. 1. Reiterates its opposition to the damaging EU exit deal agreed by the UK Government. 2. Agrees that a no-deal outcome to the current negotiations on EU withdrawal would be completely unacceptable on 29 March 2019 or at any time. 3. Calls on the UK Government to take immediate steps to prevent the UK leaving the EU without a deal, and further agrees that the Article 50 process should be extended so that agreement can be reached on the best way forward to protect the interests of Wales, Scotland and the United Kingdom as a whole. Meanwhile, MSPs also backed the first minister's motion on EU withdrawal negotiations, urging the UK government to take no deal off the table and delay Brexit. 87 MSPs backed it, while 29 voted against and 1 abstention. AMs approve the Second Supplementary Budget for the financial year 2018-19. First Minister Mark Drakeford says leaving without a deal would be "catastrophic", and reiterates that the purpose of the motions in the Senedd and Holyrood is to get over once more to the UK government the views of devolved administrations, "that we cannot sign up to a proposition in which we would leave the European Union without a deal." Labour AM for Torfaen Lynne Neagle says she will support the Welsh Government motion but also back the Plaid Cymru amendment calling for another referendum. Conservative David Melding, who voted Remain in 2016, says "I sincerely believe Theresa May's deal is the best option...in that it does to the maximum extent possible reflect the 2016 referendum result in that it was won by the Leave side but there was also a very substantial vote to remain". Plaid Cymru leader Adam Price says that "the best way forward is for a people’s vote to be held, to enable a democratic choice between the Prime Minister’s EU exit deal and remaining in the EU," and he calls on the UK government to set out its plans to hold such a vote immediately. 1. Recalls that, before the June 2016 referendum, the UK Government sent to all households in the United Kingdom a booklet stating, under the heading 'A Once in a Generation Decision', 'The Government believes it is in the best interests of the UK to remain in the EU', but also, 'This is your decision. The Government will implement what you decide'. 2. Believes that an orderly exit from the European Union on 29 March 2019 would be preferable, but resolves that if no deal can be reached between the United Kingdom and European Union, there should be no extension to the Article 50 process, as this would perpetuate uncertainty and betray the democratic will of the people of Wales and the United Kingdom, who voted decisively to leave the EU. 3. Calls on the UK Government and the Welsh Government to accept the likelihood that we will be leaving the EU on World Trade Organisation terms on 29 March 2019, and to now concentrate all efforts on preparing for this outcome. A demand that Theresa May rules out a no-deal Brexit is now being discussed by the Welsh Assembly, as it is by the Scottish Parliament today..
First Minister Mark Drakeford has said it is the first time simultaneous debates have taken place in the two chambers. Both the Scottish and Welsh governments oppose the prime minister's deal with Brussels and want Brexit delayed. The prime minister has promised MPs a vote to delay Brexit if they cannot agree on her deal. As it stands, the UK is due to leave the European Union on 29 March without an agreement. AMs agree that provisions in the Animal Welfare (Service Animals) Bill, relating to Animal Health and Welfare in so far as they fall within the legislative competence of the National Assembly for Wales, should be considered by the UK Parliament. Finn's Law - named after a dog who was stabbed on duty - aims to prevent attackers claiming self-defence. The German shepherd and his handler PC Dave Wardell sat in the gallery in the House of Commons last month as the Animal Welfare (Service Animals) Bill passed its third, and final, reading. The proposed law - an amendment to the Animal Welfare Act 2006 - was introduced by Sir Oliver Heald, Conservative MP for North East Hertfordshire. PC Wardell said the dog - now retired - saved his life when a robbery suspect turned on them with a knife in Stevenage in 2016. A 16-year-old boy was sentenced to eight months' detention for the offence of criminal damage. Jane Hutt, Deputy Minister and Chief Whip, says "The Welsh Government now has more women than men in Cabinet addressing previous gender imbalance. "The work of the Welsh Government Gender Review will contribute to this balance by looking at areas where we can make improvements and become a leader in advancing women’s equality to eradicate the stubborn inequalities that still exist. "The review is considering the added impact of having another protected characteristic, for example disability, race or sexuality, has to gender equality. This consideration will enable us to embrace an intersectional approach to policies and priorities." The next statement is by the Deputy Minister and Chief Whip Jane Hutt - International Women's Day. It is celebrated on March 8 every year, and the 2019 campaign theme is #BalanceforBetter. We move on to the Business Statement and Announcement. The Trefnydd Rebecca Evans AM outlines the assembly's future business and responds to requests from AMs. A shake-up in regional rugby needs to be "sustainable" and have the backing of fans, she says, replying to Conservative AM Andrew RT Davies. 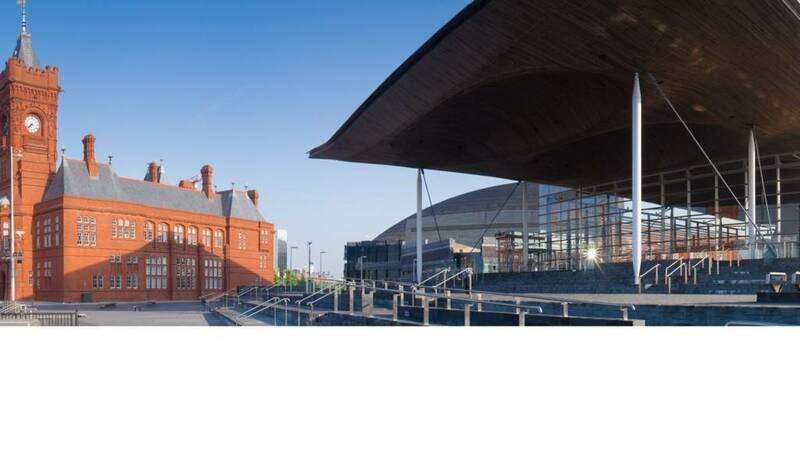 Mr Davies says: "I find it hard to imagine that the Welsh Government a) don't have a view (and) b) have not been approached to seek some form of help and support, especially as - if the proposals are taken forward - there's the prospect of establishing a region in north Wales. "And to have no comment on this very topical issue I would suggest would be somewhat alarming because I would hope that the Welsh Government have a position on what is going on." The government's Trefnydd (organiser) Rebecca Evans says that "any restructuring plans need to be sustainable and to support the future development of rugby and continue to attract the support of the public across Wales". We move on to Questions to the Counsel General and Brexit Minister Jeremy Miles (in respect of his law officer responsibilities). Plaid Cymru's Helen Mary Jones seeks an update on "measures being taken to ensure that the judiciary is fully aware of the growing differences between English and Welsh law". Jeremy Miles replies that the Welsh Government engages regularly with the Lord Chief Justice's office. Lesley Griffiths starts reading the wrong answer to Labour AM John Griffiths. "Oh sorry, I'm on the wrong question," she says, before finding her notes. UKIP leader Gareth Bennett raises an issue in Lesley Griffiths' brief - farming subsidies after Brexit. She wants to replace the basic payment scheme. The Common Agricultural Policy hasn't made farmers more robust or more productive, she says. Conservative leader Paul Davies says there's a "postcode lottery" in care for drug and alcohol problems. Lesley Griffiths cites minimum alcohol price as an example of Welsh Government reducing harm.